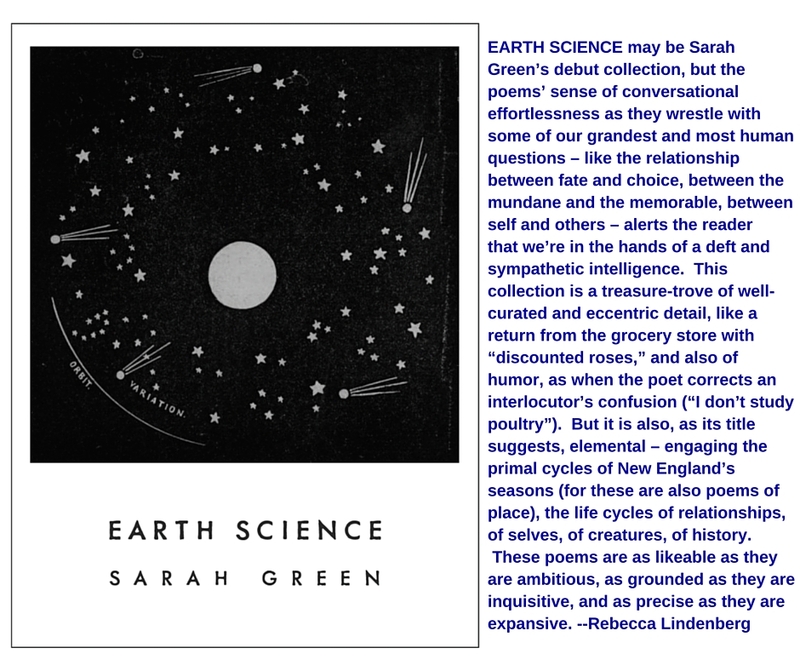 Pre-order Earth Science by Sarah Green! For two more weeks, until the release on March 1, Earth Science, Sarah Green’s luminous debut full-length collection of poetry, is available for pre-order at a discounted price of $12! Save $3 off the cover price and order now.